Portugal's and Asia's last colonial outpost. 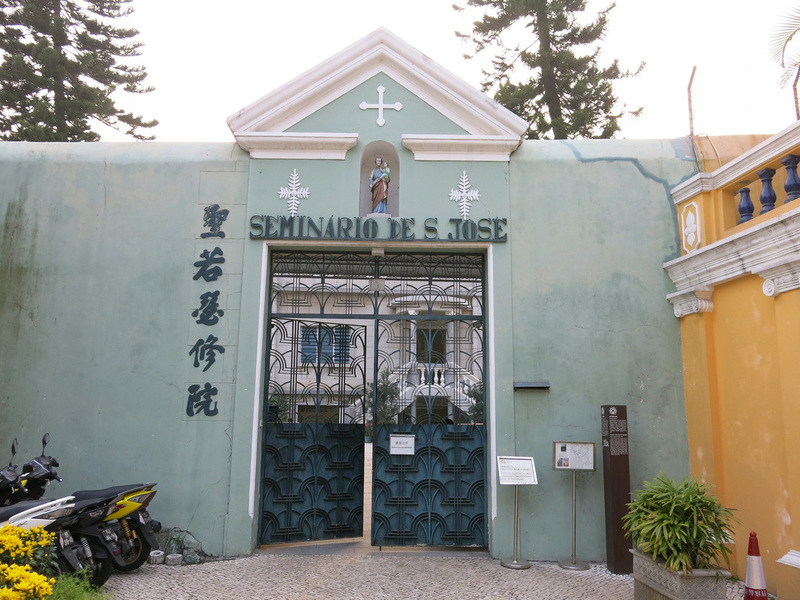 Macau reverted to China sovereignty in 1999 after over 400 years of Portuguese sovereignty. The Portuguese presence and European feel is strong, much stronger than the British feel in Hong Kong. 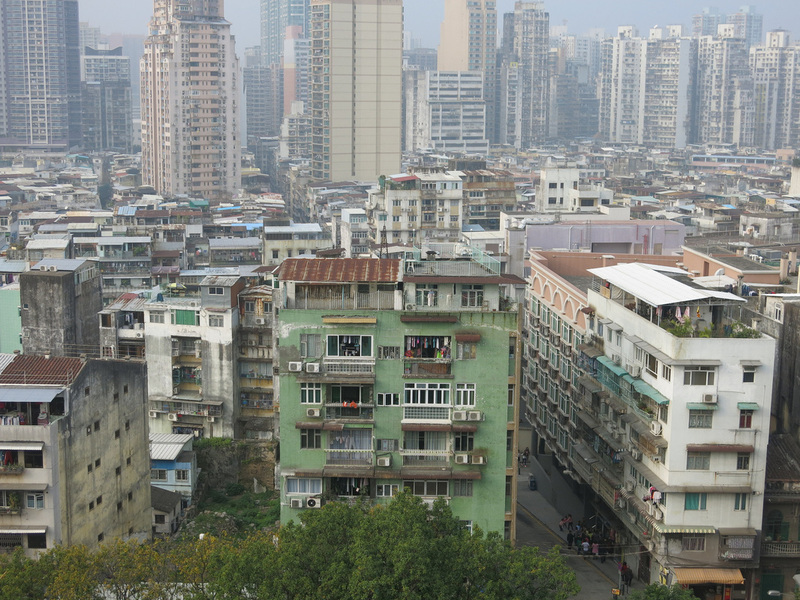 At only twelve square miles, Macau is much smaller than Hong Kong (426 square miles) and the densest "country" in the world. The country has reinvented itself as the world's gambling capital - the gambling industry benefited greatly from the Portuguese handover as entry requirements for mainland Chinese were significantly loosened. 2013 gambling revenues were $45 billion; Las Vegas was about $6 billion. 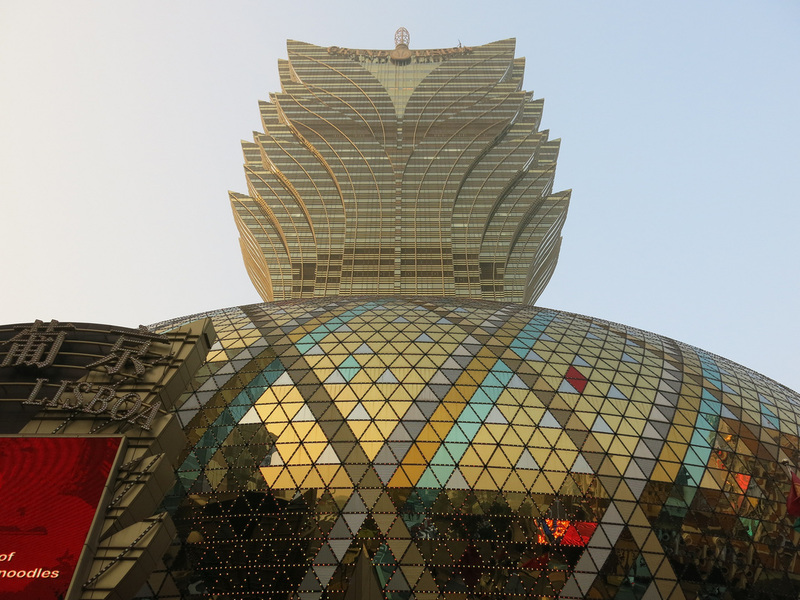 The challenge for Macau will be whether the country can use these revenues to diversify their economy. Recognizing the value of Chinese tourist gamblers, other countries have started to add casinos in tourist districts. 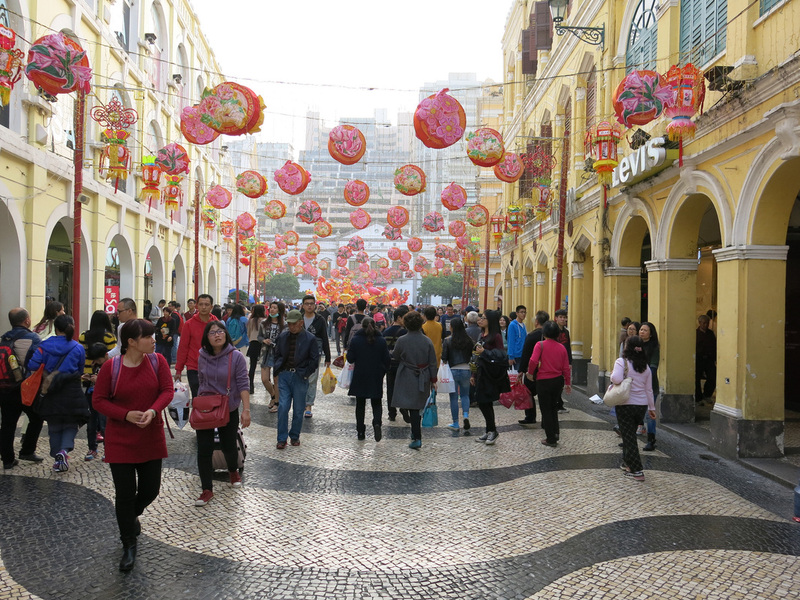 Economic downturn also exposes Macau's reliance on a single form of tax revenue - 70% of the governments finances derive from gambling and tourism. The country has started to diversify and follows a similar free market economic path as Hong Kong and Singapore - free ports, etc. 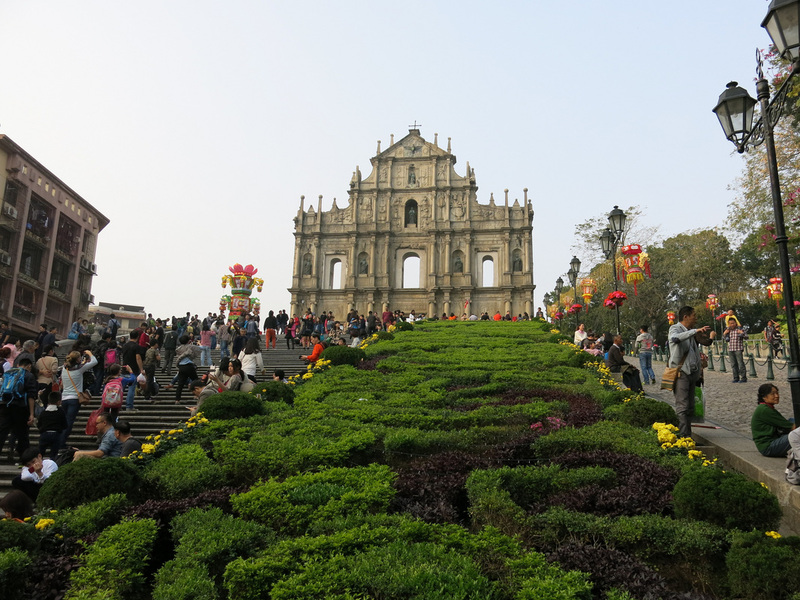 Macau makes for an easy day trip from Hong Kong - Macua accepts Hong Kong dollars, just be sure to bring your passport. Unfortunately a quick day trip to the sites and casinos may be the worst way to see the city. 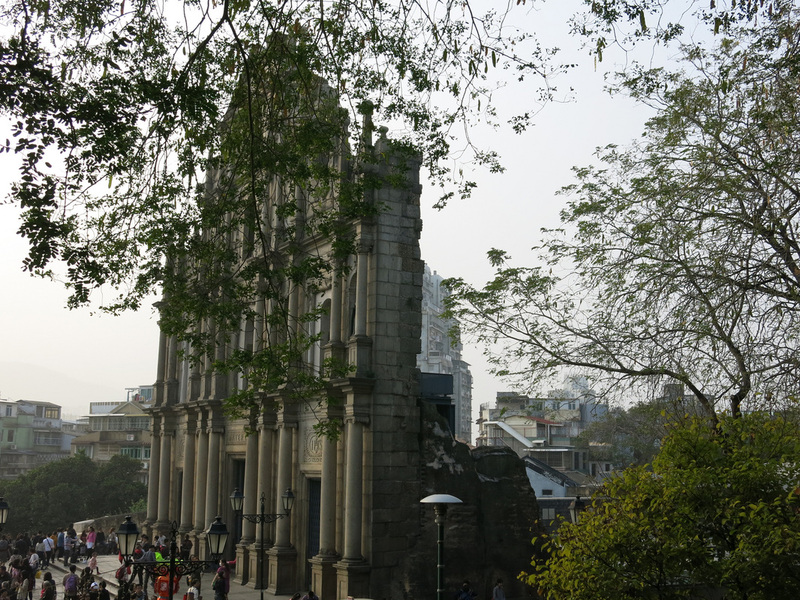 Following this option your visit will be limited to Macau Peninsula which is bombarded by Mainland Chinese. 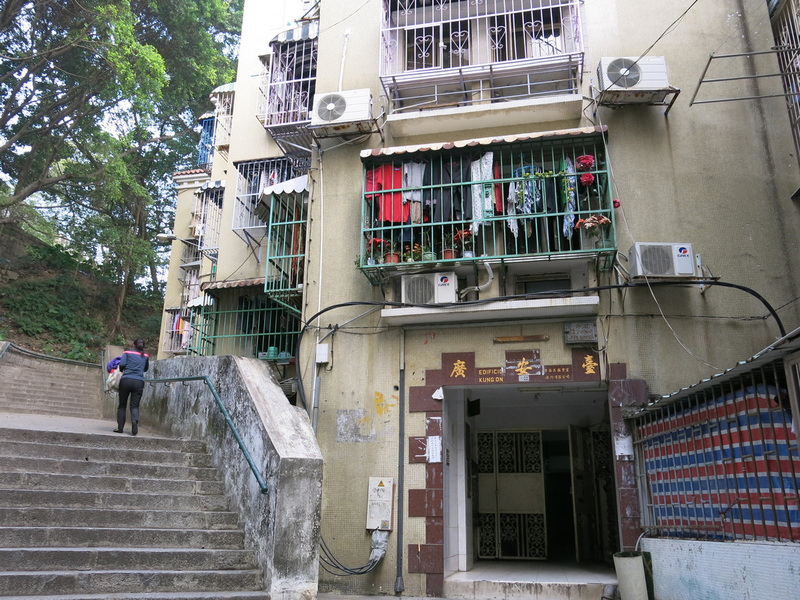 Macau's small sidewalks were not built to handle the large flow of travelers that partake in playing baccarat at one of the city's casinos. The only way to reach Macau from Hong Kong is via boat or if you're a high roller there's a helicopter. For us commoners there are a few ferry options. 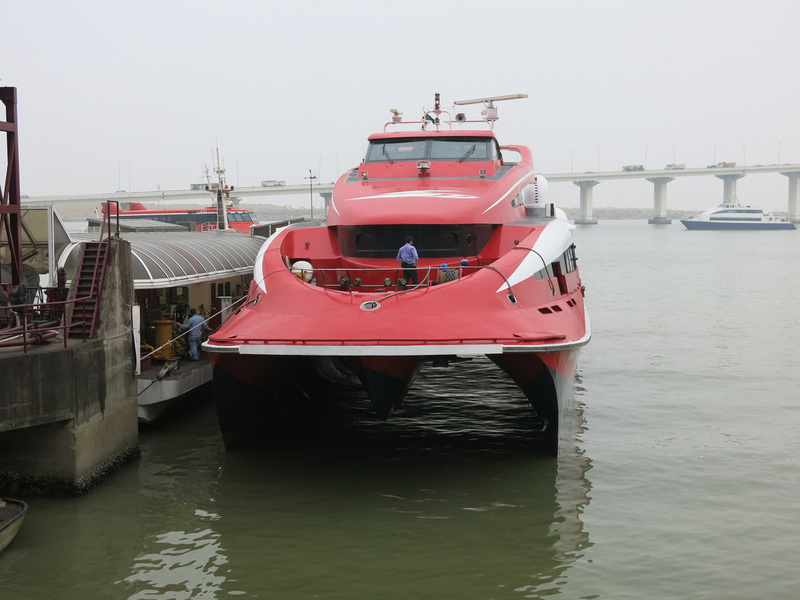 The most frequent services are provided by TurboJET. Ferries leave every fifteen minutes although don't be lulled into a false sense that you be able to walk up, purchase a ticket, and leave thirty minutes later like other Hong Kong ferries. During busy times you may want to purchase a ticket online in advance from TurboJET's website. The ferry terminal is near Exit D of the Sheung wan MTR station and less occasionally from Kowloon / Tsim Sha Tsui. 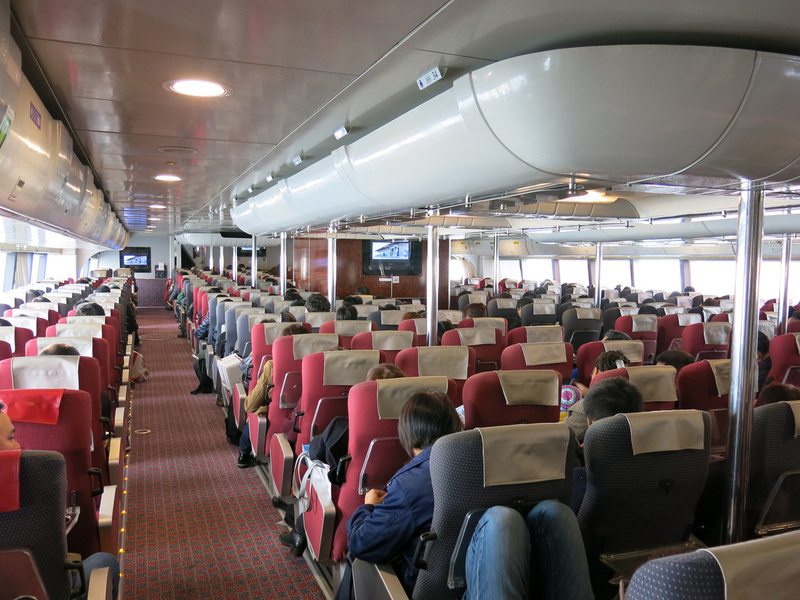 The ride takes about an hour but from the point you pass through customs, board, disembark, and go through Macau customs you may be looking at a two plus hour trip. A round trip ticket costs about $40USD. Once you arrive in Macau the best way to reach the historical center is to take one of the free shuttle services offered by the casinos. 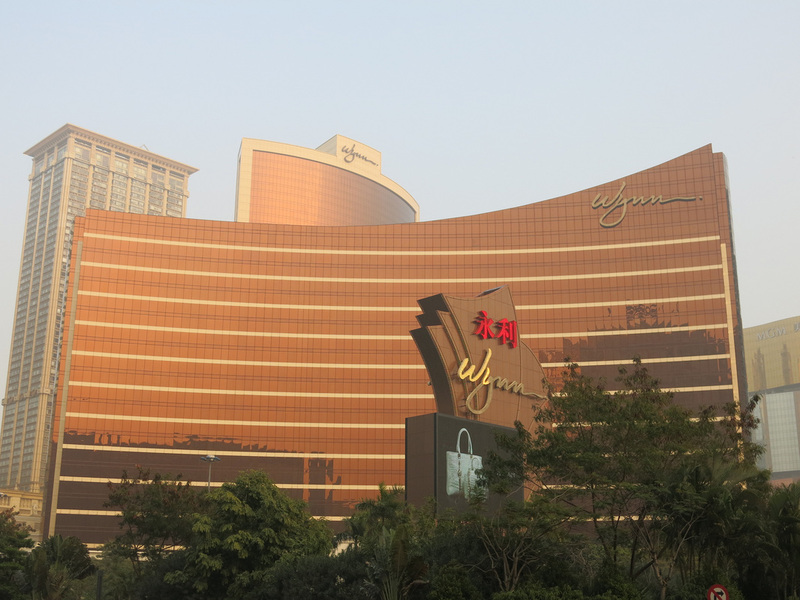 Wynn casinos drops you in a convenient location. 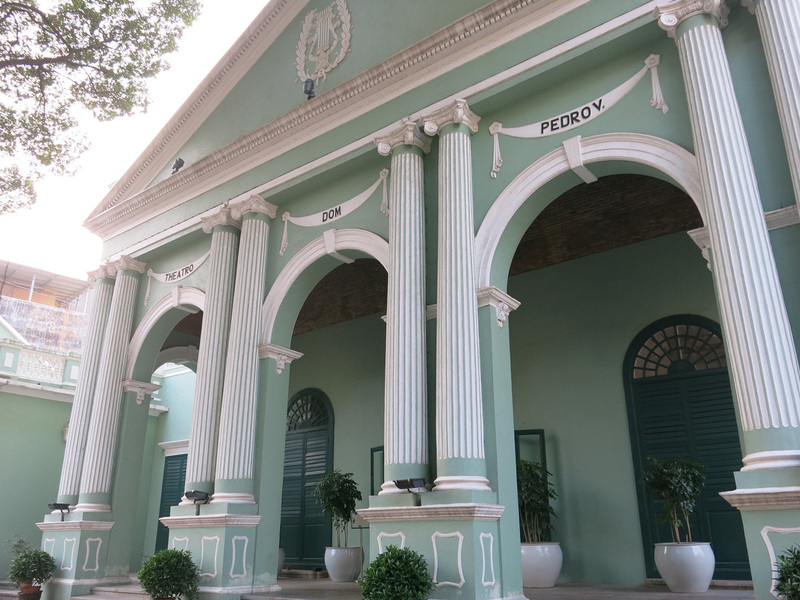 From Wynn Casino it's less than a twenty minute walk to Largo do Senado. 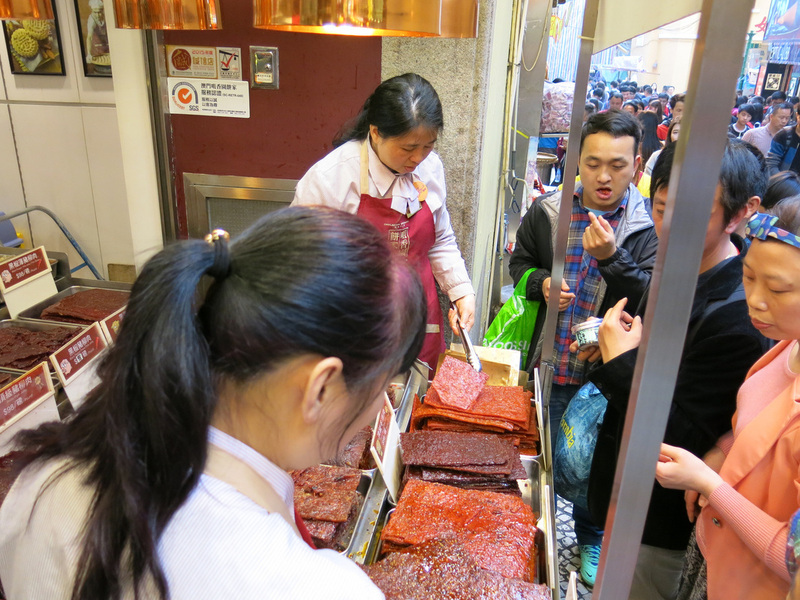 When I arrived Mainlanders overrode the main stretch - the crowds were larger than usual due to the Chinese New Year. I can't blame all the Mainlanders arriving here for a quick holiday. Macau must be a wonderful escape for the Chinese. 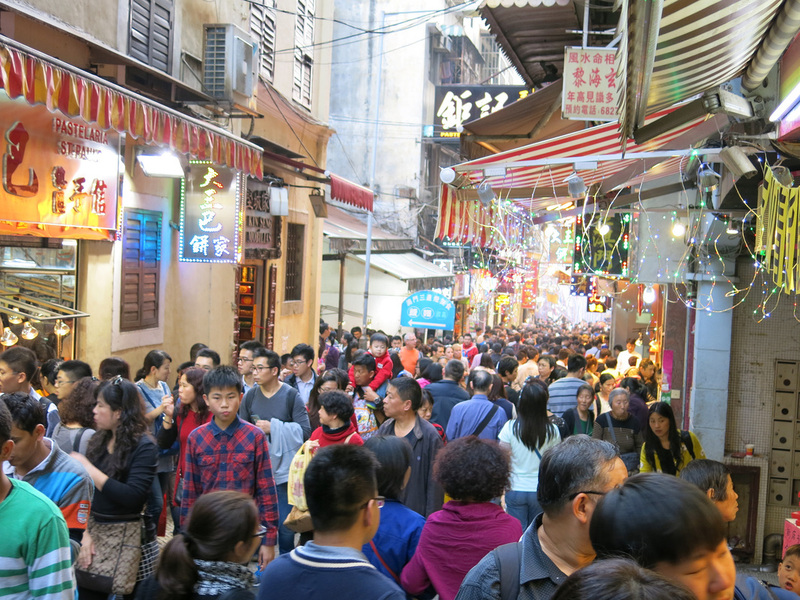 Whereas most of Hong Kong beyond the Central to Causeway Bay strip feels like China and Hong Kongers seem Chinese, Macau feels European. It's not just the mansions and streets that retain the feel; even the older apartment buildings would look more appropriate in Portugal than Asia. Nowhere is this European feel more evident than at Largo do Senado, a large pedestrian shopping street that reflects Portugal's colonial occupation. The wavy designed concourse is lined with historical buildings, many of which have been turned into shops and museums. With Chinese New Year's a few days away the square was decorated for the Year of the Sheep. Within the Largo de Senado proximity are a few more Portuguese colonial sites - the Mount Fortress isn't much of a fortress although it does provide views of the surrounding area. You'll notice the European style apartment buildings are not confined to a few streets in the historical area. 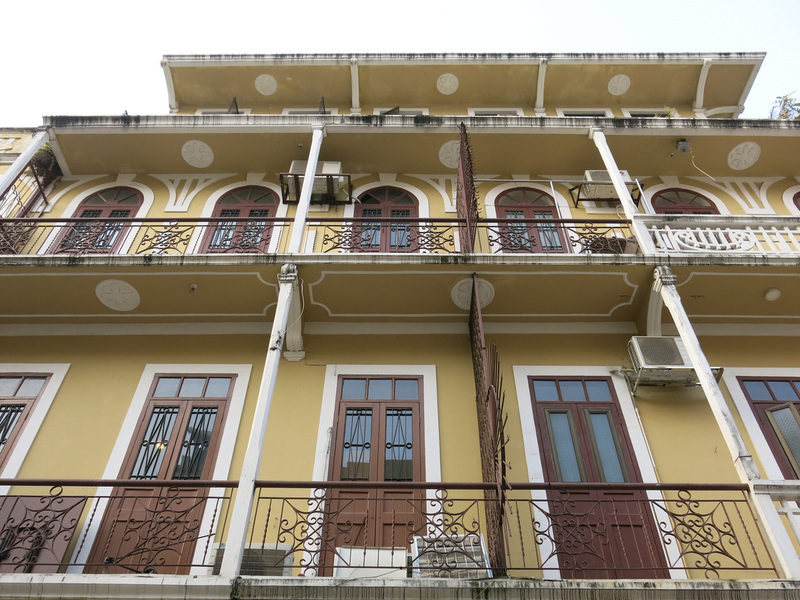 The architecture with distinct "caged balconies" extends throughout Macau Peninsula. The walk up to the fortress passes through a quiet neighborhood where scooters are the primary form of transportation, another sign of Europe. Below the fort are the ruins of São Paulo Cathedral. All that remains of the church, after an 1835 is the front facade. It's an impressive facade and leads the imagination to wonder what the original church must have looked like. The stairs leading up to the church are a popular photo spot...there's nothing else like this in China or in Asia. The view of the stairs from the bottom with a garden along the side is slightly reminiscent of Sacré-Cœur...slightly. 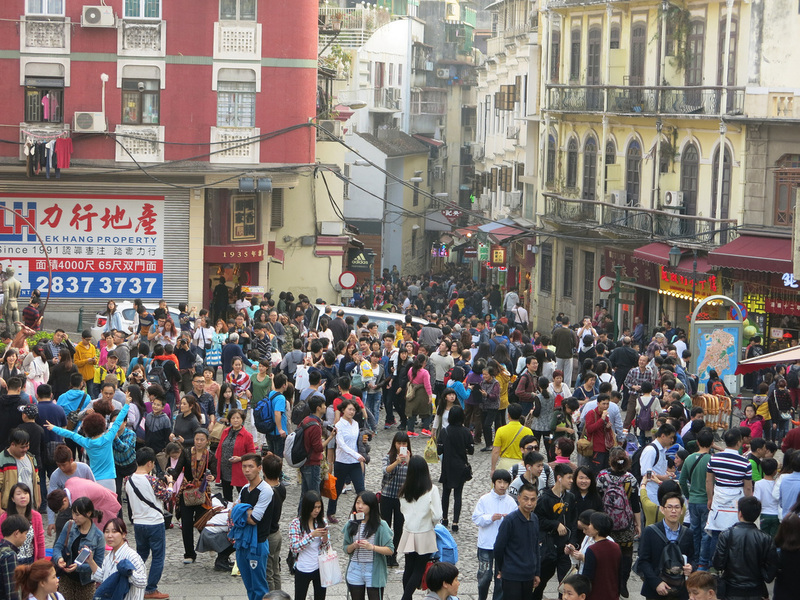 The Sao Paulo Cathedral area and the walking / shopping streets below were the most crowded in Macau. At this point I re-embraced the Chinese and considered their presence as much an attraction as the sites. 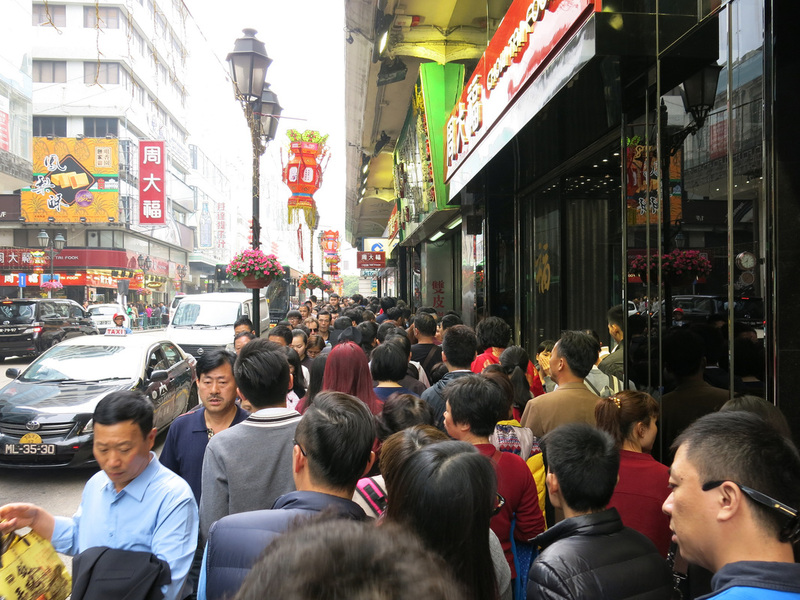 The crowds are bad, although other than a few areas, they are not much worse than other heavily trafficked tourist areas. After the main sites I walked down a few side streets and found a few more historical sites - an old mansion, a church, a seminary, and a theatre. Most of these were constructed in the 1600s and 1700s. 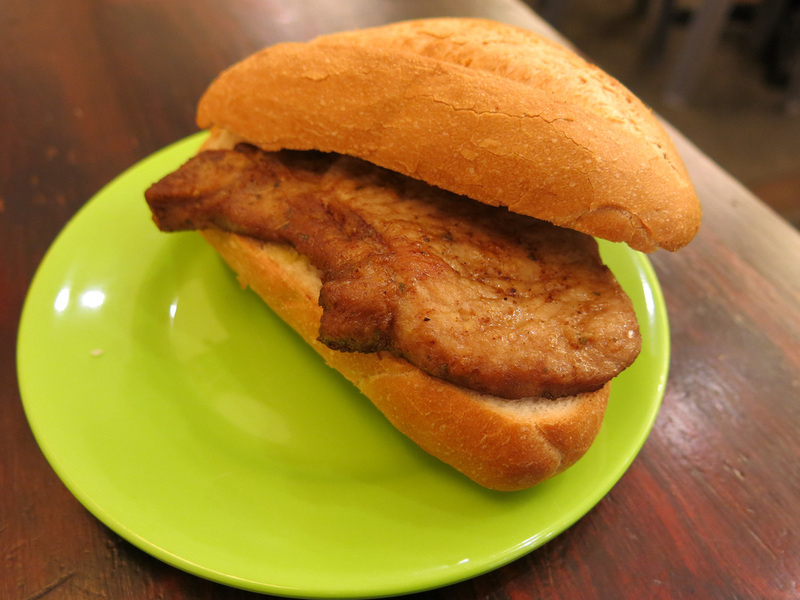 Macanese food is supposedly very good, however, other than the pork chop sandwich places it was difficult to find a full course menu. No stop to Macau would be complete without a pass through one of the casinos. In the early evening the casinos were relatively quiet (the only noise was a Billy Joel soundtrack playing over the sound system) and given the lack of slot machines I wondered how much the volume picked up at night. The only card game available was baccarat and I walked past hundreds of tables in the Wynn casino. Most had a minimum bid of $3,000 = ~$500 USD. Ending the day at the casino made for an easy return to the ferry terminal. I arrived early and was able to ride standby on an earlier ferry. 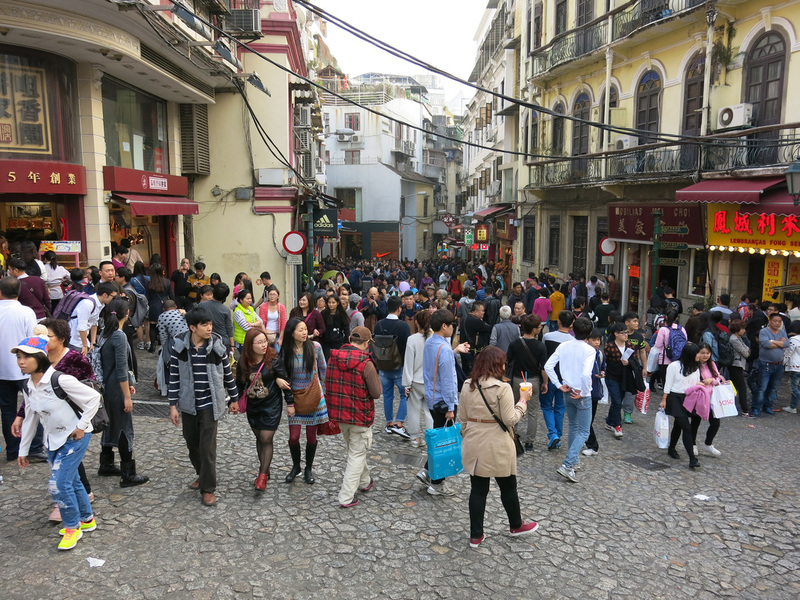 It was a four hour visit and I'm not sure what to make of Macau other than it is a popular tourist destination. 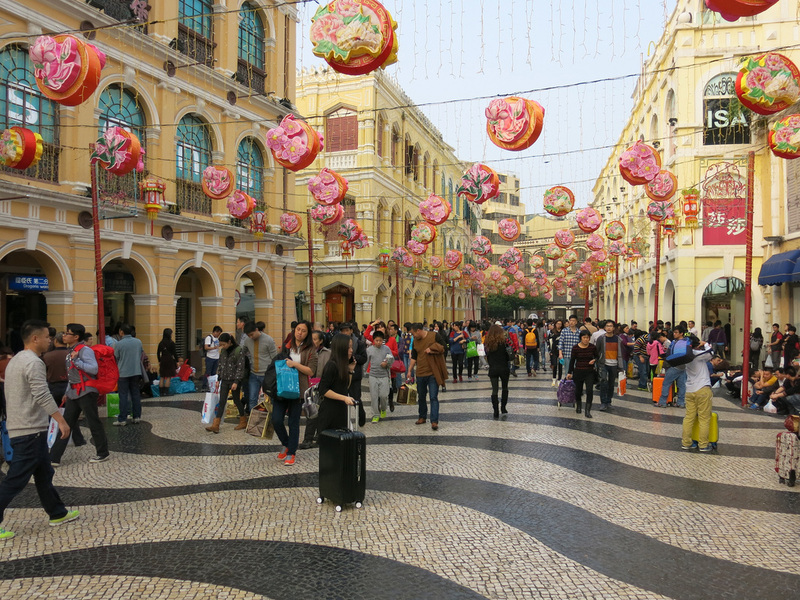 On Macau Peninsula it was nearly impossible to gain a feel for the local flavor but it would seem that tourism and gambling play an important role in the community. 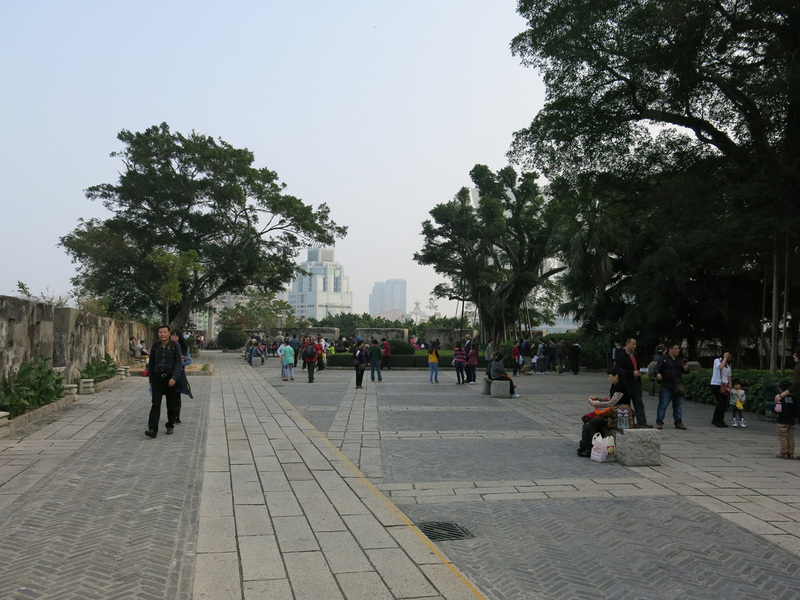 Next time I'll take the ferry to Taipa and explore the southern half of Macau, away from the historical area mayhem. For additional Macau photos see FLIKR ALBUM.